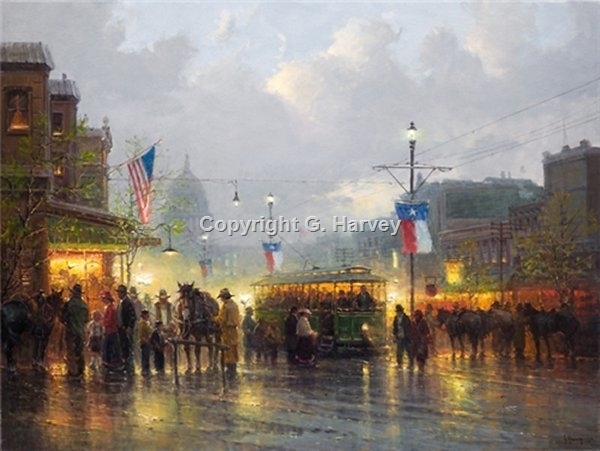 One of G. Harvey's favorite subjects is Austin, Texas. He loves to capture the feel of the Texas capital at the turn-of-the-century when trolleys ran side-by-side with cowhands on horses. The excitement, the hustle-bustle, of a growing, thriving Texas city plus the celebratory mood of change make this painting very special.